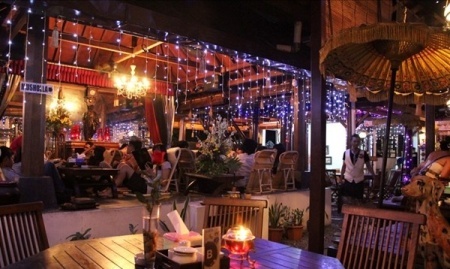 Yogyakarta is well known as a major destination for both domestic and foreign tourists. It has stunning natural beauty, well preserved historic buildings and amazing cultural treasures. In addition, who would have thought there are hipster places in Yogyakarta that is worth a visit as well. Let’s find out. 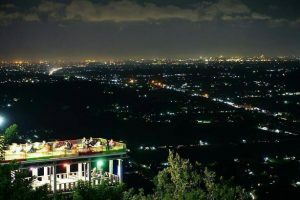 The hill is the perfect place to enjoy the sprinkling of stars in the night sky and the flickering of city lights. On weekend young people often gather here to enjoy the beauty of the night. From Bintang Hill you can see in the distance Mount Merapi (believe it or not there are lots of things to do on Mount Merapi), Mount Merbabu and the business at Adisucipto Airport. If the sky is clear, you have the chance to watch the beautiful sunset with amazing sky color. Bintang Hill is located on the border of Bantul Regency and Gunung Kidul Regency. It is right on the edge of the road. 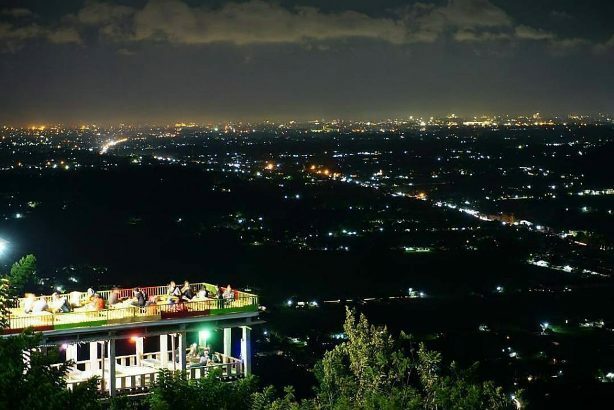 Kosakora Peak is the rising instagramable spot in Yogyakarta. Located 50 meters above sea level, it offers a view of beautiful sunset and amazing blue sea. To enjoy the view from Kosakora Peak you have to walk down the Drini beach as long as 2 km. After that you have to walk through a path filled with bushes and climb a few hills. Kosakora Peak is located in Ngestirejo Village, Tanjungsari, Gunungkidul Regency. The admission is Rp.5.000, -. Embung Sriten is the highest artificial lake in Yogyakarta. 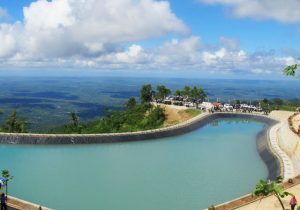 In addition to the source of irrigation, it is also a rising tourist destination. The view of the lake with the background of white clouds and green forest is inarguably an amazing photo object. At dusk you can see the beauty of the sunset and sparkling city lights. Embung Sriten is located at Pilangrejo Village, Nglipar, Gunung Kidul Regency. 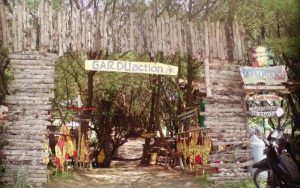 Gardu Action stands for Garbage Care and Education. It is a place of waste processing as well as an education center about waste management. The garbage, mostly from plastic, is recycled into various handicrafts and art installations. At first glance, you would not think if the artwork is made from plastic waste. In fact, the unique artwork makes the place look instagramable. Gardu Action is located at Parangkusumo Beach, Kretek, Bantul Regency. Here you can see a variety of plants and animals that are funny and interesting. The melodious chirping of birds will welcome visitors. There are dogs, rabbits, reptiles, fish, hamsters, rabbits, cats, and many more. Across the street you can find ornamental plants. There are cactus, roses, orchids, lilies, adhenium, etc. 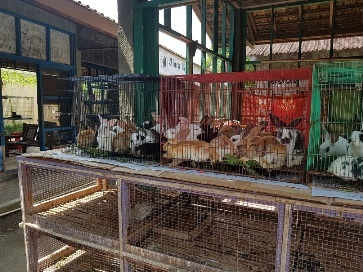 Animal and Ornamental Plant Market (PASTHY) is located at Bantul Street, Km. 1, Dongkelan, Yogyakarta. House of Raminten, which is open 24 hours, is the new hang out place in town. Applying the concept of angkringan and traditional Javanese, House of Raminten successfully becomes the rising star in the field of culinary. House of Raminten set a friendly price. For example, a cat rice is only Rp 1,000 and the most expensive food is only Rp 25,000. House Of Raminten is located on FM Noto Street, No. 7, Kotabaru, Yogyakarta. House of Raminten is one of unique cafes in Yogyakarta that is worth trying. The festival presents a variety of lanterns along with the bazaar of Yogyakarta foods. In addition, the most anticipated show is dancing fountain, the fountain that moves according to the rhythm of a song. 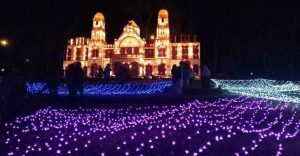 Kaliurang’s Festival of Light is held every year. Usually it is held in June, at the same time of school holiday. Festival of Light is held at Kaliurang, Yogyakarta. The admission is around Rp 30,000. 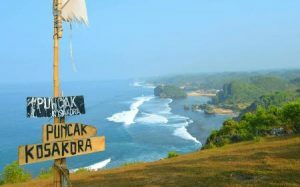 Besides seeing Festival of Light, there are other things to do in Kaliurang Yogyakarta. Fort Vredeburg is not far from Malioboro and Beringharjo Market. It is a Dutch building that used to function as a fortress to protect the Yogyakarta palace (actually there are various things to do in Yogyakarta Palace). Nowadays Fort Vredeburg is functioned as a museum. Here you can see photos of Yogyakarta in its past glory days and dioramas displayed artistically. Indirectly, it’s a fun way to learn the history and the development of Yogyakarta. 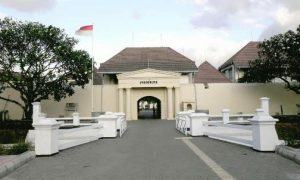 Fort Vredeburg is located at Ahmad Yani Street, No. 6, Yogyakarta. It is open every Tuesday – Sunday from 8 am – 4 pm. 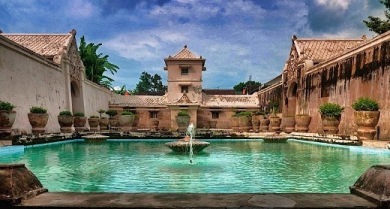 Taman Sari is a royal bathing place decorated with the distinctive beauty of the palace. There are three bathing pools at Taman Sari, namely Umbul Panguras which is destined for the King, Umbul Pamuncar for the concubines and Umbul Kawitan for the sons and daughters of the King. Here you can also see the Great Gate that is still standing firm. It is said that the gate is the entrance to Taman Sari for the royal family. There is also a Pesanggrahan where the king used to meditate or held meetings with royal officials. Taman Sari is located at Taman Street, Keraton, Yogyakarta. Historical and cultural attractions are open daily from 8 am – 2 pm. 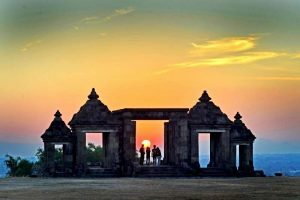 Ratu Boko temple is located in an area of 25 hectares and has unique characteristics, i.e. it combines the style of Buddhism and Hinduism. Unlike the other temples, Ratu Boko Temple is more similar to the palace. It has hall, paseban, pond, keputren, holy well and cremation altar as well. Therefore the temple has its own beauty that is worth a visit. The view is different and has mystical aura. It’s an alternative to the popular Borobudur and Prambanan Temple. 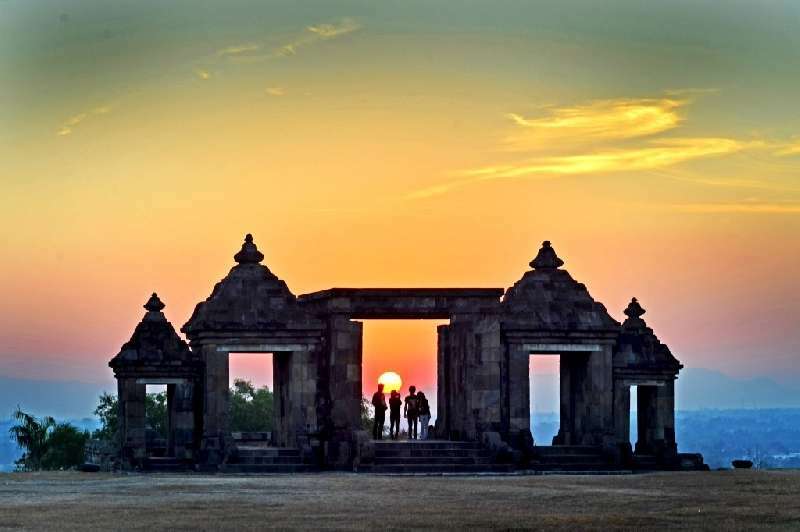 Ratu Boko Temple is only about 3 km to the south of Prambanan Temple. 12. Epic Coffee Yogyakarta at Palagan Tentara Pelajar Street, Km.7.5, No. 29, Yogyakarta. 13. No.27 Coffee at Pringgodani Street, Yogyakarta. 14. Peacock Coffee at Palagan Tentara Pelajar Street, Yogyakarta. 15. Studio Kopi at Komplek Ruko Babarsari, No. 5, Yogyakarta. 16. Tempo Gelato at Prawirotaman Street, No.43, Yogyakarta. All right, those are hipster places in Yogyakarta that are certainly interesting to visit. What are you waiting for? Let’s visit Yogyakarta.